Established in 2010 as a trading company, Wild Mushroom Ltd. is on the field with agricultural products. Following the dynamics of the fast-growing economy, we have increased our nomenclature and range. Currently we've got over 100 products for the food industry. In our portfolio you will find both raw materials for subsequent production and ready-to-eat products in retail packages. Our production facilities are located in Bulgaria in a famous eco-region with very good harvest during the year. In the footsteps of Stara Planina mountain with altitude of 900m in the village called Ribaritsa (Lovech province). For more flexibility, trade and accounting departments are separated in a business centre located in the capital of Bulgaria - Sofia on the follow address 98, Bulgaria Blvd., business centre ASTRA, office 1G. 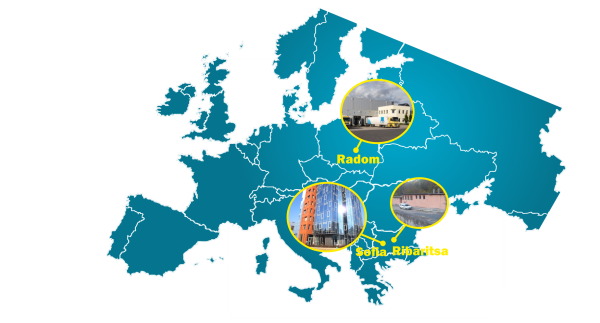 Our warehouse is in Radom, central Poland. We've got our own brands which are well known all around Europe.​The products under brand BIO-CI are organic certificated. All stages from collection, processing, packing are natural without artifical fertilizers, coloring agents and preservatives! observed - no preservatives or colorants! The satisfied customers highly appreciate us over the years. If you still aren't one of them, do not hasitate to contact our team!